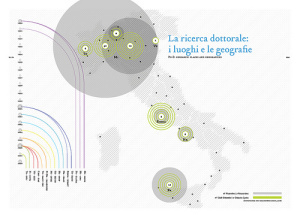 DensityDesign is a research lab in the design department of Politecnico di Milano. 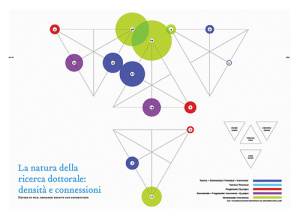 The organization focuses on visually representing “complex social, organizational and urban phenomena” in a way that translates the research into a narrative or data collection that is more easily understood by theorists and laypeople alike. The lab conducts research and representation projects for clients as well as conducts courses and workshops through Politecnico de Milano. Their website contributes to the world of design research with various publications in books, journals, international conferences, and their blog. 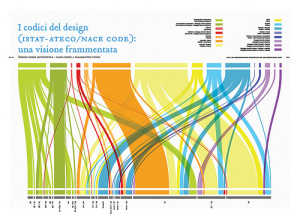 The blog and conferences explore contemporary modes of data visualization including interactive exhibits and visually engaging diagramming strategies. Specifically, the blog works to keep fellow design researchers up-to-date with the current progress of DensityDesign and the progress of other design researchers.